as I wade through Indecision. I do not remember how to pray. My knees now fail to bend. Desperate hands forget how to fold. pour forth from my mute mouth. faith larger than taught words. Choking out all natural beauty. belongings, void of any true value. Broken beings in need of healing. Bio: Ann Christine Tabaka lives in Delaware. She is a published poet and artist. She loves gardening and cooking. Chris lives with her husband and two cats. Her most recent credits are The Paragon Journal, The Literary Hatchet, Metaworker, Raven Cage Ezine, RavensPerch, Anapest Journal, Mused, Indiana Voice Journal, Halcyon Days Magazine, and The Society of Classical Poets. Bio: Tim Cottengim was a brilliant painter who showed his work in the underground San Jose, California art scene in the nineties up until he died in 2009. He was often found helping his close friend Al Preciado put up yet another amazing art exhibit. 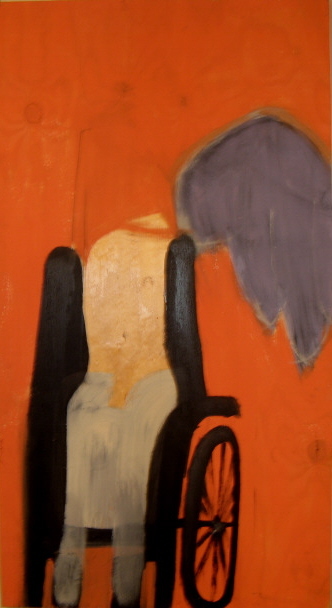 Tim’s work showed an earthy sensitivity, gentle irony and transcendence one does not often see.